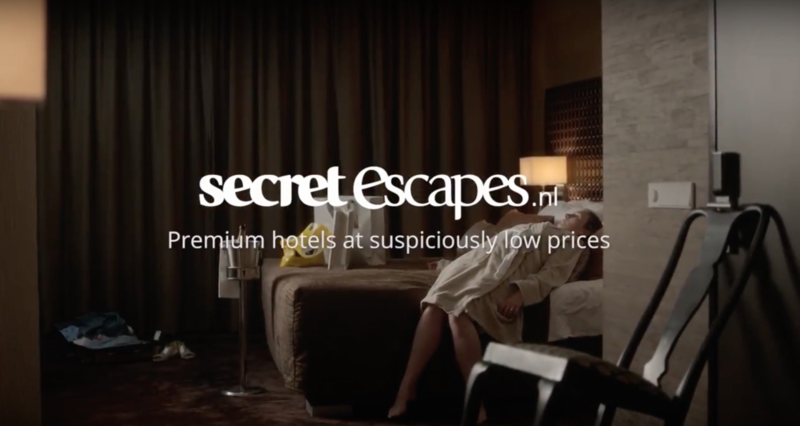 Amsterdam, 28 June 2018 - The Dutch phrase ‘Als het te mooi lijkt om waar te zijn...’ is the key to a new, campaign from travel deals brand Secret Escapes that launches today. The first spot shows a couple relaxing in their swanky hotel room, before becoming suspicious that the deal they are enjoying is too good. Created by J. Walter Thompson Amsterdam, the idea responds to the insight that Dutch people combine insatiable desire for value with a healthy suspicion of brands promising great deals. Instead of trying to fight this, we decided to have fun with it. Secret Escapes is a witty and stylish brand offering amazing discounts, so we were confident it could carry it off. Disrupting market conventions is the key to helping Dutch travellers get more holiday for their money. We are proud to be rising to the challenge of giving the Dutch the value they want in a fresh and distinctive way. Secret Escapes was founded in 2011 in the UK. It is now active in 21 countries and has more than 55 million members worldwide. This makes it the European market leader in the members-only travel deal space. Secret Escapes operates on the flash sales model. It offers its members discounts of up to 70% off amazing travel experiences. Registration is free and membership gives access to the lowest online prices on a hand-picked selection of quality travel deals. In addition, Secret Escapes expert negotiators ensure that extras such as room upgrades, meals, drinks and spa treatments are also included wherever possible. For more information see www.secretescapes.nl <http://www.secretescapes.nl>.